Rory McIlroy has signed a long-term equipment deal with TaylorMade - citing the TaylorMade TP5x golf ball as the main reason for his change. World No.2 Rory McIlroy announced at The Players Championship press conference that he has signed a $100m long-term equipment deal with TaylorMade, and will be putting the TaylorMade M2 Driver and TaylorMade TP5x golf ball in to play from this week. Rory was left without an equipment deal for the first time since 2013 when Nike Golf announced they were leaving the golf equipment industry, which left the former World no.1 with the freedom to choose his next move. He initially announced he was likely to forego a gear deal for at least a year, and by the Masters he had a Callaway driver, TaylorMade woods, Callaway irons and a Titleist golf ball featuring in his set up. But the mis-match wasn't working for him. 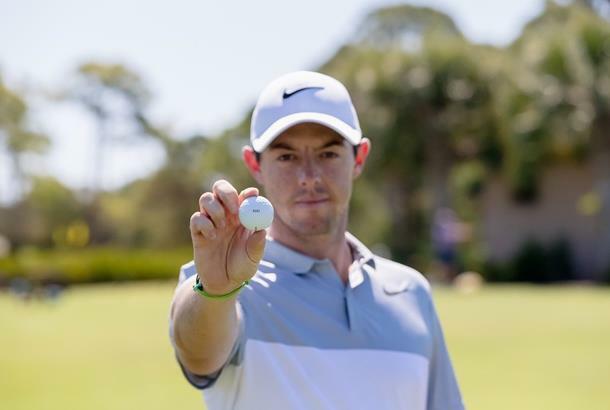 After his seventh place finish at the Masters, McIlroy blamed his golf ball, telling media "I need to change my golf ball, that's the big thing". And roughly eight months later, he appears to have found the right balance between ball and equipment - and McIlroy has now signed a deal with TaylorMade golf. "I'm really excited that I've teamed up with TaylorMade," McIlroy said. "I need to address a few issues after Augusta, I alluded to the fact that I wasn't really happy with the golf ball I was playing and I needed to do something. I felt like I struggled in the wind so I sort of went back to the drawing board"
"I tested for about 10 days pretty extensively after Augusta and I worked with a lot of different things but I worked with the TaylorMade guys one day and I started just on trackman, on the range and saw stuff with the new TP5x golf ball that they have and I thought wow this is what I need, this is exactly the thing I've been struggling with. "Over the next few days I tested different combinations of things and I came to the conclusion that that was the best way forward for me to try to get back to World No.1 and win more majors"
"I've been on tour 10 years and it's very rare that you get really excited about your equipment but I am. I feel like it's a new chapter in my life and I really feel with the new equipment as well are hopefully going to take me to that next level"
It's already been a successful season for TaylorMade, with six players in the top 12 of the OWGR using their equipment - and now they can add multiple major winner and former World No.1 Rory McIlroy. The 28-year-old joins a TaylorMade Tour Staff that includes Masters Champion Sergio Garcia and World No.1 Dustin Johnson, along with Jason Day, Justin Rose and Jon Rahm. Rory McIlroy signs with TaylorMade: What's in his new TaylorMade Bag? 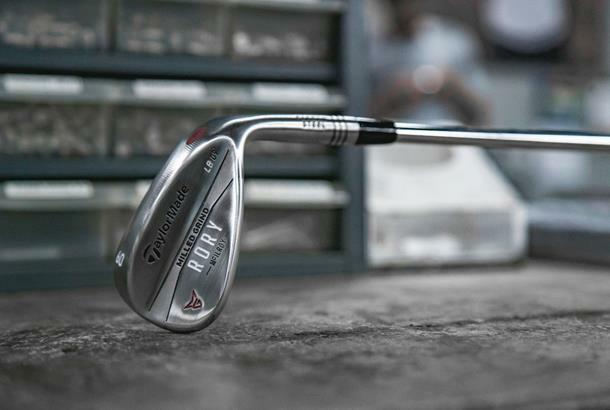 Now that Rory McIlroy has signed a deal with TaylorMade, we can confirm the clubs he will be using this season. Starting out this week at TPC Sawgrass for The Players Championship, McIlroy will play 13 TaylorMade clubs and the TP5x ball. He will continue to use an Odyssey putter while testing various other TaylorMade putters. While announcing he had signed a deal with TaylorMade, Rory admitted that the performance of the golf ball was critical to his choice, claiming that his Titleist golf ball was unable to perform how he thought it should in the windy conditions of both Augusta National and Bay Hill. "I sort of chickened out a bit with the ball because I just went back to what was familiar, and I really didn't give any other golf balls much of a chance," McIlroy admitted. "I played two tournaments pre and post injury and they were both at altitude with no wind, and once I got back to sea level I played Bay Hill and played the Masters and I got a little bit of wind I realised it just wasn't right, it wasn't performing for me." "I tested quite a few balls and this was the one that I landed on and that was really it. The ball was what led me to this point because it was like this is the best ball I've hit, ever. I feel like it's really the best ball for me going forward"
TaylorMade say: "Rory’s length off the tee is one of the strongest parts of his game, so the optimisation of a driver for him in testing was very important." "A variety of driver heads, lofts, shafts, swingweights and adjustability settings were all tested, with McIlroy keen on finding his optimal setup. 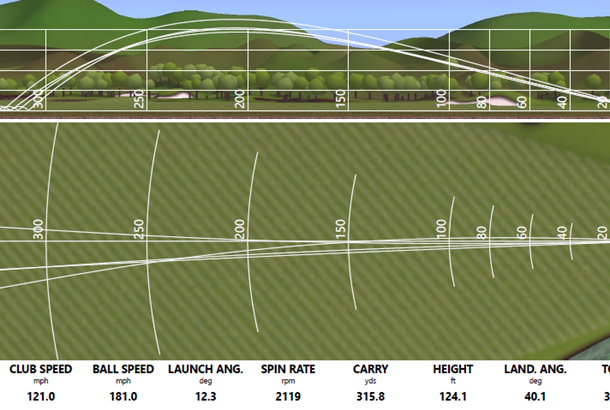 In the end, the team landed on a 9.5* ’17 M2 driver (more specs below in WITB section)." As evidenced by the following chart, his average numbers after multiple shots hit during his testing period were remarkable. TaylorMade say: "It was critical to fit McIlroy into a fairway that, per his preference, could be used both for positioning off the tee and going after par-5s in two." 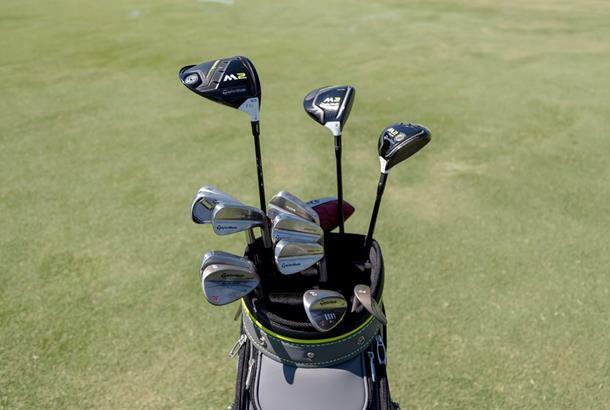 "His desire for the M2 Tour fairways was evident at the Masters, where he had two of them in the bag and commented how easy they were to turn over compared to his previous product." TaylorMade say: "Rory has played muscle-back irons throughout his career and worked closely with TaylorMade’s R&D team in testing a new prototype the iron team in Carlsbad has been developing." "Characterised by a shorter blade length, reduced offset and revised shaping, the “Rors Proto” iron has not only exceeded McIlroy’s performance expectations but also aesthetically suits his eyes perfectly, too. In addition to his new irons, he's opted to play the 3 & 4 irons of the P750 Tour Proto." TaylorMade say: "It’s no secret that McIlroy can overpower golf courses with his length; it’s this length that will leave him with more wedges into par-4s than the average tour player, so finding the optimal wedges & grinds to hit all the shots he needs is important." "After a thorough process, McIlroy will eventually play the Milled Grind wedges that will be machine milled to his personal specification." "I'm working through a few things," McIlroy said. "I've got a Spider in the bag that I've tried over the past few days but it's a work in progress so we're trying to find the right one".